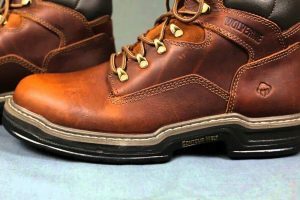 One of the common misconceptions that many people make is the fact that work boots and hiking boots might be similar, but this certainly is not the case and there are a couple of distinct differences and they are also designed for different purposes. As the name says, the one is designed for hiking and the other is designed for working. We have decided to take a closer look at some of these differences and the differences that you will need to deal with when you are selecting the right boot for you. Fortunately, we had the opportunity to test out a couple of these boots from various top rated brands to find out all the differences and see them for ourselves in action. Waterproofing is one of the main aspects of these boots and since you will be trekking through nature, the boots will need to endure all the changes in conditions. With the rain being unpredictable, you should be able to take on water and survive without having the boots take too much damage. Hiking boots are mostly waterproof and they can withstand all water conditions. The inner sole is another important aspect you need to focus on with these boots and with a top quality inner sole, the boots will be more comfortable to use for longer distances when walking. EVA is one of the common options when it comes to hiking boots and it molds to the shape of your feet. This will ensure people suffering from pronation and supination will also have some comfort. The outer sole is another important aspect you will need to be focusing on for these boots and with some help from a durable lug outer sole with decent grip patterns, the boot will be last a little longer and keep you from slipping in slippery conditions as well. Most outer soles are designed to endure what nature throws at them. Finally, you will need some ventilation as well and the ventilation aspect is one of the main features when it comes to keeping your feet dry on the inside. The inner lining will also play a part in keeping your feet dry and Gore-Tex is one of the best options to ensure that you have the utmost in terms of comfort and ventilation. 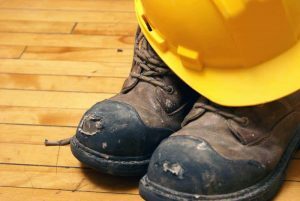 Safety features have become a must in most work boots and since these boots are made for working in arduous conditions as well as hazardous areas, the boots should keep you safe and protected at all times. 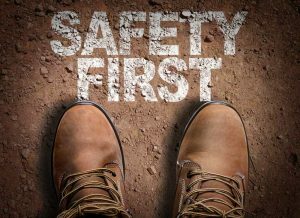 One of the main features for keeping you safe is the safety toe that is not found in hiking boots and this can be constructed from composite materials, alloy, or steel depending on your needs and price range. The outer sole is also one of the major factors that you will be considered for these boots and with an outer sole that is resistant to electrical surges and hazards; the boots should offer you more versatility as well. With more versatility, the boot can be used in more job types and industries and even at home, offering you more value for your money. During our tests, we have found that most work boots are designed to be water resistant and not really waterproof. However, if you work in the logger industry, you will find boots designed with some of the same features found in most hiking boots and these will keep your feet dry. Unfortunately, they might lack some ventilation. Lastly, work boots are also stylish and this is mostly true if you find yourself working in the corporate industry. In the corporate world, the way you look is one of the most important parts of the job and with great shoe designs in the form of Oxfords and another shoe, you could easily find a shoe that looks great and is comfortable in your industry. Can Work Boots Be Used For Hiking And The Other Way Around? While it is generally not recommended to use boots for different purposes, they can be used for this. However, hiking boots might lack some of the safety features that are required in your job description and this could cause some problems if an injury does occur on the job. This is why employers are really finicky about the boots used on the job. 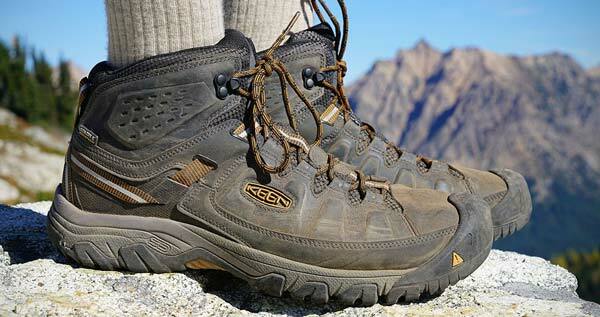 As for using work boots for hiking, this is possible and brands like KEEN have lightweight boots with similar designs to what you will be using for hiking purposes. One of the major issues when it comes to using hiking boots for work is the fact that they might be a little too heavy and they could lack some ventilation as well. This can be quite frustrating to deal with. Is There A Difference In The Materials Used For These Boots? One of the major differences will be the fact that more rubber is included hiking boots and with work boots, rubber is not fundamentally important as you would expect. The rubber is designed to keep the water out and it makes the boot capable of absorbing some of the shocks from dangling through the bush and jumping from ledges. In general, these boots do not have many differences and they are quite similar when it comes to the materials. The only difference might be some of the smaller features and these features could make life easier for you. 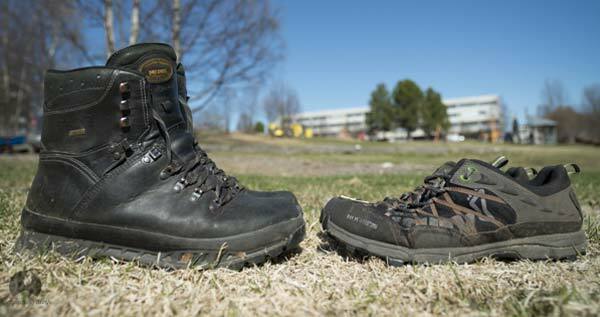 Both hiking and work boots are similar when it comes to durability, but some of the features are different. We hope that you have found this information helpful when it comes to selecting your next pair of boots for either work or hiking. 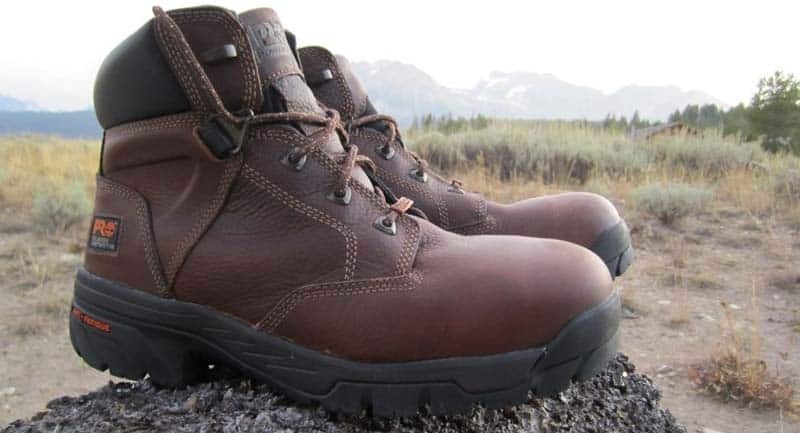 We would like to thank you for reading this article and we would like to encourage you to share your thoughts on works boots and hiking boots in the comment section below.